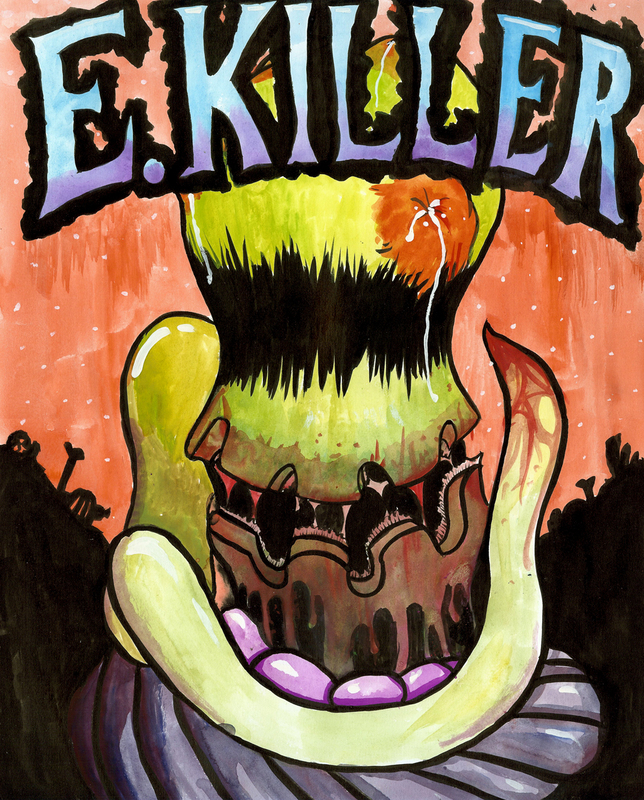 I was greeted on Facebook with this fantastic surprise, a piece of painted E.killer fan-art by none other than my friend and digi-boss Josh Bernard, owner of CollectionDX. You can check out more of Josh’s art on Quibx Blog. Josh has an awesome metal album-art style with heavy black inking and a dark sensibility, and it really brings the E.killer to life! Click the image for the full-size… it’s unreal. « The Kaiju Battles Exhibit Gets Around!